Some service members who have opted into the new Blended Retirement System aren’t taking advantage of the system’s key benefit: Matching retirement-plan contributions. A little more than 1 in 10 service members who’ve switched to BRS aren’t putting any money into their Thrift Savings Plan account, according to Defense Department figures. The government automatically contributes 1 percent of a service member’s basic pay into his TSP account under BRS, but “to take full advantage of BRS, the member needs to contribute from his or her own pay in order to receive the government’s matching contributions up to an additional 4 percent,” Defense Department spokesman Navy Cmdr. Michael Cody said. The TSP is a retirement savings plan similar to a 401(k) plan in the civilian world. Under the legacy retirement system, the government doesn’t match service members’ TSP contributions. Under BRS, the government does. That means service members must adjust their TSP contributions in MyPay, MarineOnline, or the Coast Guard’s Direct Access after opting in to BRS if they want the matching benefit. It’s not clear why some service members who’ve opted into BRS aren’t making the contributions, Cody said. What does skipping the TSP contributions mean to your financial future? One example: An E-5 with five years of service who opts into BRS gets an automatic government contribution of 1 percent of basic pay, or $27 a month in 2018. If the E-5 contributes 5 percent to the TSP, the total matching contribution would be $137 a month. No TSP contribution means losing $110 a month. It adds up over time, with the service member losing out on even more money after future pay increases, and with increased earnings. That’s a loss of more than $100,000 after 15 more years of service, assuming a 7 percent rate of return on the TSP investment. Half of that loss comes from the service member’s lack of contributions and half from the loss of government matching contributions (and the associated earnings on the money over the years). 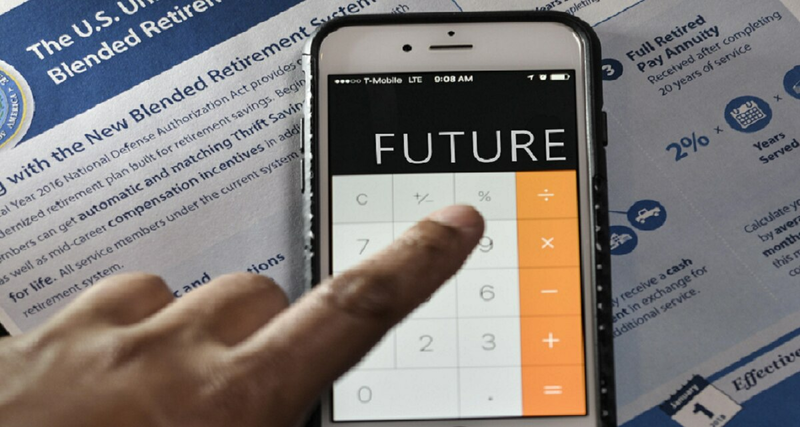 Service officials and the Federal Retirement Thrift Investment Board, which administers the TSP, have been emphasizing this important step for service members. Email messages have been sent monthly to service members who opted in to BRS but aren’t contributing to TSP, Cody said. Reminders are being included on monthly Leave and Earnings statements, and the message is being pushed out on social media. As of 2018, service members new to the military are automatically enrolled in the BRS. Those with less than 12 years of service as of Dec. 31, 2017, or reserve component members with less than 4,320 retirement points as of that date have the option to stay in the legacy system or opt in to the new BRS.